AdMerch has an extensive range of ladders, step stools, trestles & planks, attic ladders, platform ladders and ladder accessories that are perfect for use in any setting – from the domestic home to heavy industrial environments. Every ladder sold at AdMerch is manufactured and tested to Australian & New Zealand Standards AS/NZS 1892 and AS/NZS 1576. For more information about our range, see below. Never put a limit on the heights you can reach. Our extensive range of ladders, step stools, trestles & planks, attic ladders, platform ladders and ladder accessories are perfect for use in any setting – from the domestic home to heavy industrial environments. A ladder is essential not only for most tradespeople, but for each and every home too. Don’t leave it to chance – only Australia’s highest quality manufacturers can be found here. 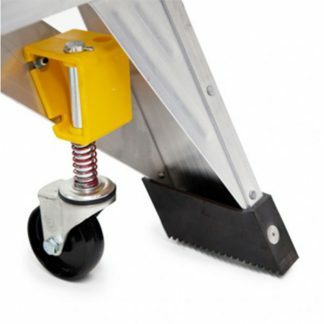 All products comply with safety standards and are built to last. Products are constructed from a range of material including aluminium, fibreglass, rubber, and industrial strength plastic. 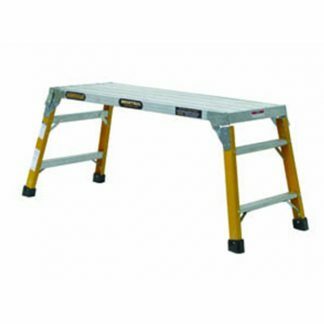 Every ladder sold at AdMerch is manufactured and tested to Australian & New Zealand Standards AS/NZS 1892 and AS/NZS 1576. Important information regarding ladders and electricity – only ladders of fibreglass construction should be used. Worksafe provides further safety information. While generally more expensive than aluminium ladders, fibreglass will always out-perform and outlast aluminium – and minimal maintenance is required. But it is important to keep your fibreglass ladder clean to maintain its maximum non-conductive properties for increased safety. Do this, and your fibreglass ladder will last forever.